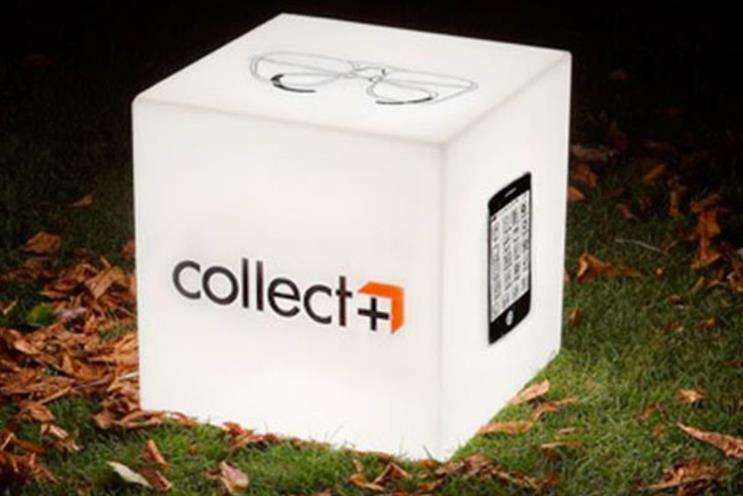 Click and collect is beating mobile as the retail technology that has most impact on the way consumers shop. Almost one in five (18.93%) of shoppers said click and collect changed the way they shopped in 2015, according to data from Atomik research carried out on behalf of retail marketing agency Live & Breathe. In comparison, 11.79% of respondents said smartphones changed the way they shopped, while exactly the same percentage said the same about tablet computers. Only 3.96% of those questioned claimed that smartwatches have changed the way they shop, although the technology still has limited penetration in the overall population. Even though click and collect is being embraced by consumers – 28% cite it as a key element of what is making online retail better – the desire for cheaper products is still paramount. Click-and-collect services are expensive for retailers to provide and as a result companies such as Tesco and John Lewis have begun charging customers for click-and-collect for orders under £30. This is unlikely to sit well with consumers because more than half believe retailers should focus most of their attention on cheaper products in 2016. 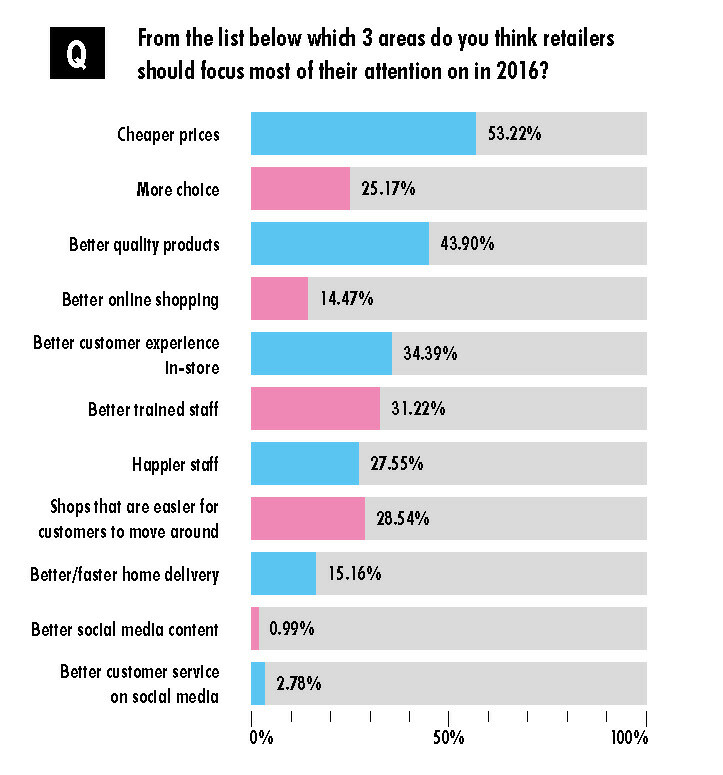 But while shoppers want prices to drop, 44% also want higher quality products. Live & Breathe head of innovation and digital Viv Craske said: "Our expectations on retailers and the retail experience are so high that we’re becoming quite black and white about what we want. "Retailers have tried to address the in-store experience this by bringing technology on to the shop floor to try and marry the digital and offline experience, but it feels like this still isn’t enough for shoppers." Some 43% of respondents said they would shop more online if Amazon Prime-style one-hour delivery was on offer and 13% would do so if their purchases were delivered via drones. When asked what was getting worse about the high street, the runaway top answer was parking, which at 45% was 15 percentage points above any other answer. The high street being too busy was cited by 30% of shoppers, while 29% complained about it being more expensive than online shopping. Live & Breathe’s State of Retail 2016 report was based on a survey of 1,009 UK consumers. Will Amazon's own-brand labels revolutionise its fashion business?